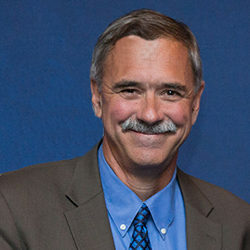 George Hamilton has headed the Institute for Sustainable Communities since its creation in 1991. Since then, ISC has developed and carried out more than 100 projects strengthening communities in 30 countries. ISC’s current goal is to accelerate climate and sustainability solutions in the United States and Asia by transforming communities, cities, and supply chain factories. From 1989 to 1991, George was planning director for the State of Vermont, and chief policy advisor to Governor Madeleine M. Kunin. He was co-chair of a special commission appointed by New England Governors and Eastern Canadian premiers that organized the first international conference on sustainable development in North America (1989). He also served as chair of Governor’s Development Cabinet. From 1985 to 1989, he was a Policy Analyst in the Vermont Governor’s office, specializing in energy, environment and telecommunications issues. From 1982 to 1985, he was Executive Director of the Vermont Public Interest Research Group — the state’s largest citizen advocacy organization. Prior to that, George was a community organizer and an energy efficiency auditor for a low-income weatherization program. Drawing on his experience as a wilderness backpacking outfitter and guide in Alaska’s Brooks Range, George was a Research Assistant to the US Secretary of the Interior on the Alaska Lands Act of 1979. He has been a member of a variety of boards, commissions, and delegations designed to advance climate solutions, sustainable development, citizen participation, community development and/or environmental protection. He is currently on the board of the Alexander and Margaret Stewart Trust, a charitable foundation supporting nonprofit organizations researching, treating and preventing cancer and pediatric illnesses. George holds a BS degree in Environmental Studies and Geology from St. Lawrence University.